A safe, non-toxic marker pen for enhanced accuracy during piercing. 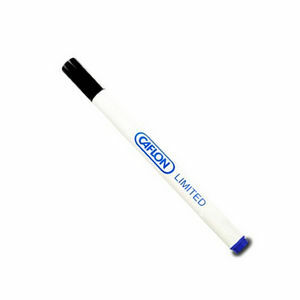 Caflon's Non-Toxic Marker Pen is an essential bit of kit for the piercing process. It has a fine tip to allow you to easily and accurately mark the point of piercing. It comes with a specially-formulated, non-toxic solution that makes the procedure a reassuringly safe one. £2.39 (inc. VAT) Why no VAT? We're a trade wholesaler and quote our prices without VAT to help our VAT-registered customers understand the true cost of a purchase.